Yes. Even the baby got to climb the mountain. A few weeks ago we hiked along Bear Lake Trail in the Colorado Rockies. 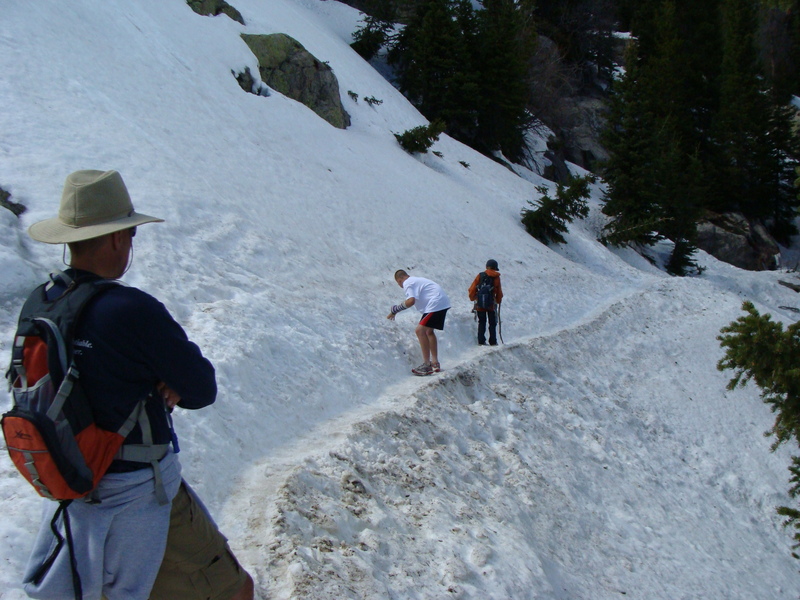 The trail was still snow packed and most hikers didn’t venture past the first lake. We took it slowly, watched our steps, and forged on. 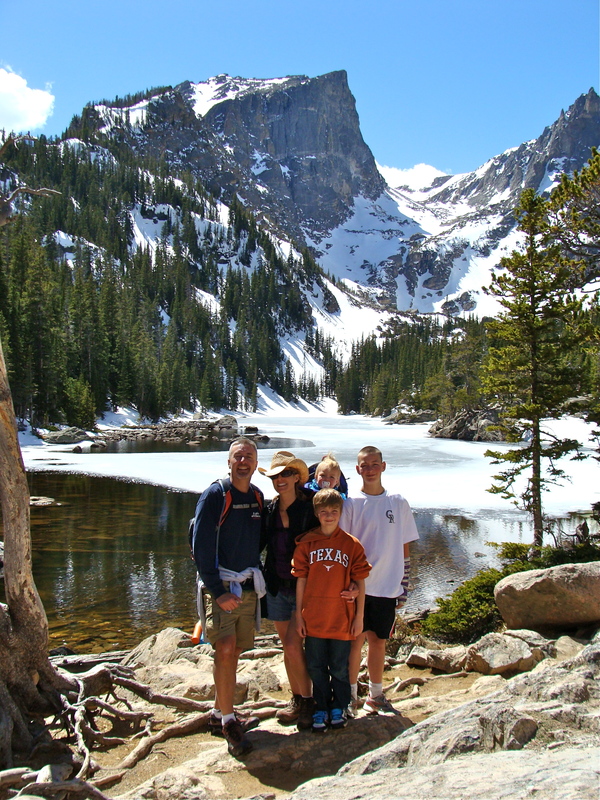 We were not disappointed by our efforts and were greeted with incredible snow-capped mountain views and crystal lakes. Best of all, we were able to share this with our three boys. One group of hikers we came across commented at how lucky our kids were. I hadn’t thought of it like that. For the most part they enjoy hiking just as much as my husband and I do, but after a few miles the questions start in and the inquiries begin as to how much further, etc., engaging more conversation time than talks about the views and wildlife. It’s not always easy to find time to do anything outside of what we need to accomplish every day. Maybe it’s time we shifted our priorities and re-defined what we consider necessary. Not only is it important for our personal health to exercise and eat well, but many of us have kids that (believe it or not) look up to us and see us working out, or hear us coming in the front door from a run, and see that we think enough of ourselves to want to take care of ourselves. Find a mountain and learn how to climb it. Better yet, learn how to climb it and teach someone else.